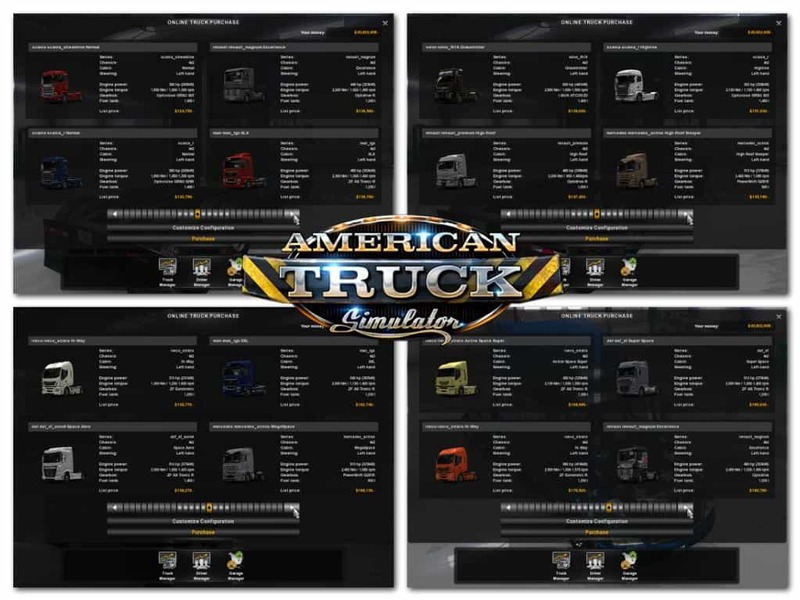 Due to the large of number of trucks and small game cards, all the tracks are registered in the same cabin – “Eurotrucks” in the city of Bakersfield. – Divide all the tires and wheels of the two games. – Trucks are not spelled out clearly in the traffic and orders (to preserve the atmosphere, just buy for personal use). – For added lorries registered US checkpoint. – DLC TOYS are not spelled out (do not start them in ATS)..
– Skins of DLC only – Fantasy, Russia and the Vikings. – Inside, there is the added dealer visual distortion of the background investigation is a non-standard registration mark. i hope these trucks can be used in the “quick job”,it would be awesome! This mod is completly broken. No working content. 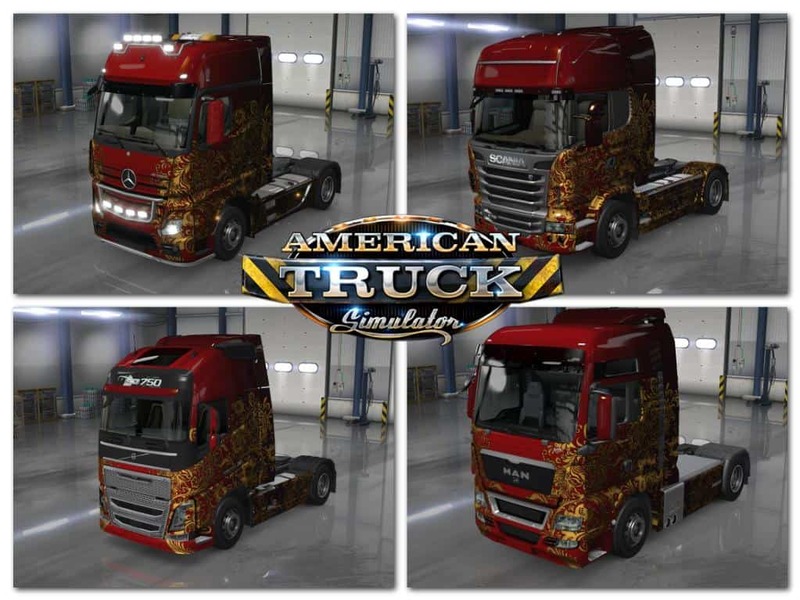 hello, I’m on the 1.3.1.1 version, I unzip your .scs file, and I Delete the truck_config_scene.sii file, and also paintings paintjob_vikings and paintjob_fantasy and I remade the zip for the put it in the mod folder. well now, what can it happen in the game?, it works or it does not work? I try to rename the truck_config_scene.sii into .txt. and it works. Before that, the truck configurator page always dark. But after changing the file extension to txt it really work. Now i can customize my truck easily. Thanks…. please, update it for 1.5.x. Please update! Game crashes when I attempt to customize the exterior. 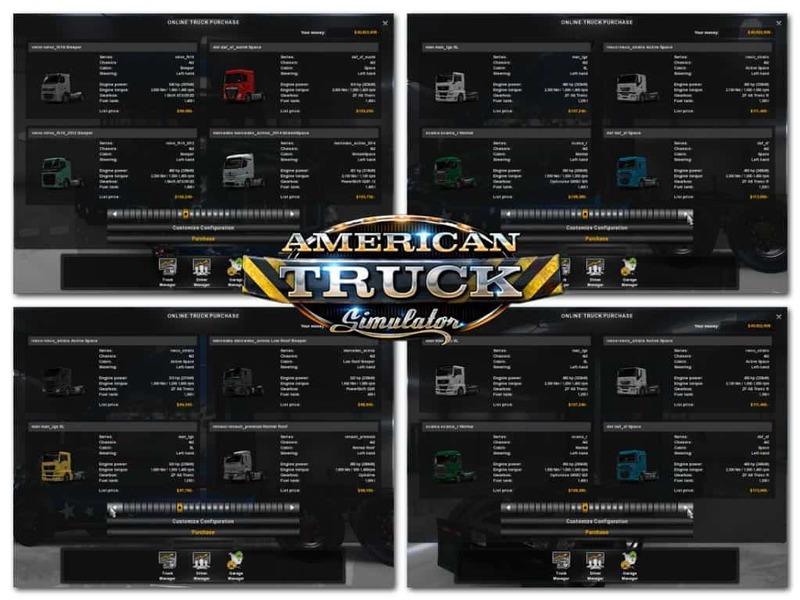 This mod crashes when I click on the “Accessories” tab (both interior and exterior) when customising any European truck. Please Fix & update This Truck Pack Mod, its old and broken and out dated july 6. its oct 9 2017 now so please update it so it will work. this would be a great truck pack for ATS if it worked. 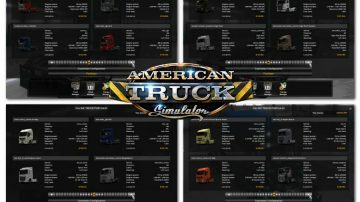 Please Fix & update This Truck Pack Mod, For 1.29 its old and broken and out dated july 6. its November 20 2017 now so please update it so it will work. 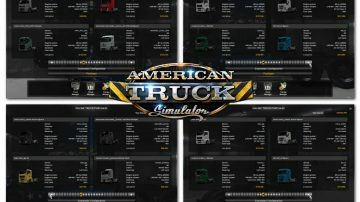 this would be a great truck pack for ATS if it worked. where can we buy these trucks? There is no dealer in Bakersfield.